DashGoo Reporting Tool for Google Analytics is an automated reporting system for Google Analytics (SEO) that will help you ease your report creation process for your customers. 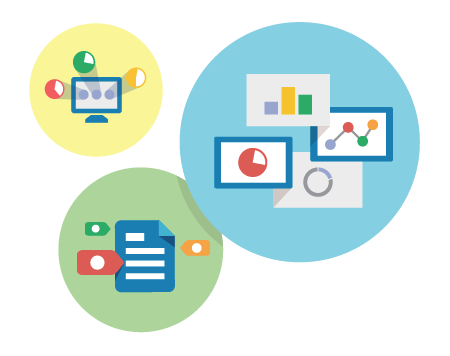 We’ve helped the best agencies deliver thousands of Google Analytics dashboards and reports per month. Show your customers how your online marketing strategies are really working and give them a reason to invest even more. DashGoo helps you create complex reports for Google Analytics very quickly and in an extremely easy way. Using the simple WYISWYG editor you can edit and customize your reports and even create templates to be used later. Segmenting your data by sessions, time, page views, dimensions and metrics is very easy when you use DashGoo. Five minutes will save you hours! Take five minutes of your time to sign up for free trial. It will save you hours of AdWords reporting every month! With DashGoo you do not have to waste time with Excel spreadsheets or AdWords CSV files. All you have to do is to select the report type and everything is filled out for you automatically. We provide several templates already set up so you can easily create your reports.